As part of the secondment activities, the ESR is commonly asked to give a presentation about his research to local staff to share ideas and to promote discussion and further collaborations. 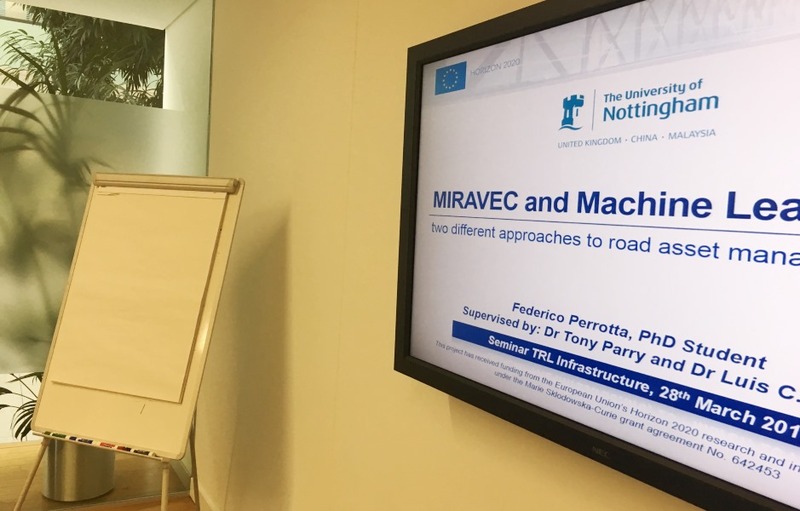 This is the case of Federico Perrotta (ESR13), who gave a talk titled “MIRAVEC and Machine Learning: two different approaches to road asset management” in TRL (Transport Research Laboratory) Ltd. at Crowthorne (UK). The presentation took place in the Puffin room from 12.30 to 13.30 on the 28th March 2017. Here, Federico first introduced the work carried out in TRL as part of his secondment for the past two months, when he has dealt with fuel consumption models developed in previous International projects (MIRAVEC, MIRIAM, NCHRP, etc.). 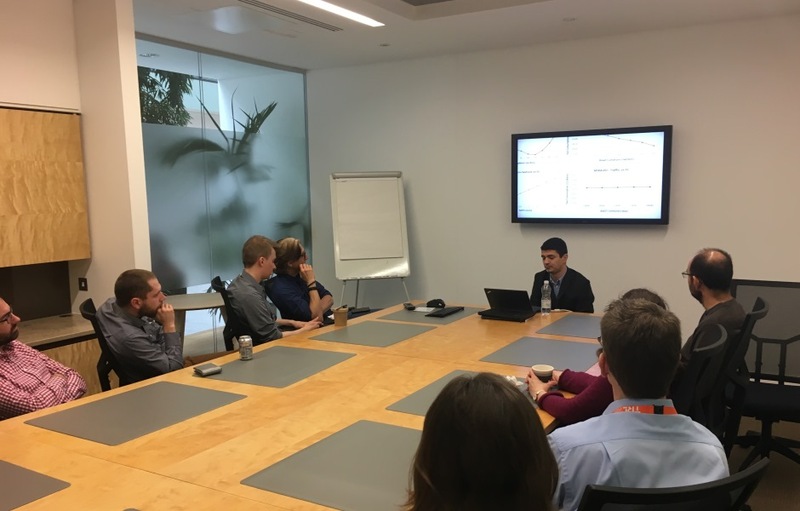 Then, he showed latest developments in his TRUSS project, which involve the use of machine learning to assess and estimate the impact of road surface conditions on the vehicle fuel economy. He highlighted how these results can bring significant benefits to road asset management and to the decision making process of maintenance of road infrastructures. The presentation was attended by an audience of about 25 people, including Federico’s Supervisors in TRL, Dr Helen Viner and Dr Emma Benbow, and senior researchers interested in the project. Machine learning is a powerful approach to deal with complex problems governed by a large amount of data and lots of variables. 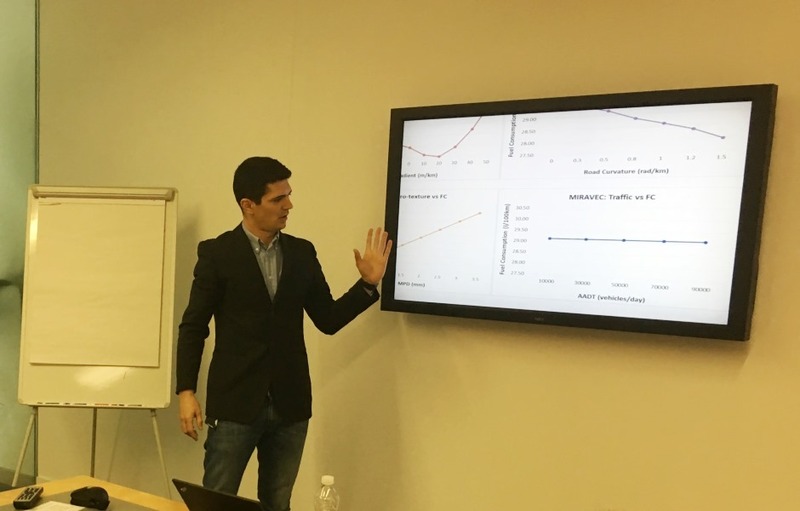 If you want to learn more about machine learning and how Federico applies this technique to data from truck sensors for assessing road performance, check his related blog posts here.